If you bought your Christmas presents on Amazon this year, there is a decent chance someone in South Florida was taking your money. Consider the case of Canon color camera filters. Drive down Northwest 72nd Avenue in Doral, and you're unlikely to find anything remarkable about the many corrugated metal storefronts lining the road. But enter through the side door behind the shop emblazoned with a Canon logo, and you'll find something unexpected: An ultra-modern office with a multi-screen command center straight from the Starship Enterprise. The set up belongs to GOJA. Over the past decade, founder Walter Gonzalez Jr., a Miami native, and GOJA'S approximately 100 employees have tapped Amazon's platform to create their own multi-million dollar e-commerce company. The company declined to state its exact figure but said it was between $50 and $100 million annually, putting it among the top-37 third-party Amazon sellers in the world, according to Marketplace Pulse, a website that tracks Amazon sales and sellers. "Most people just press 'buy' on Amazon and it appears at their door," said Gonzalez. "But there's a whole world that made it appear at their door. It's like the Wizard of Oz." Today, GOJA is one of the largest third-party Amazon sellers in the world, bringing in eight-figure revenues moving camera parts, backpacks, batteries and cleaning supplies. The company serves as an ultra-sophisticated example of a booming source of income for an increasing number of South Floridians: selling stuff on Amazon. As of 2018, South Florida is home to the largest Amazon reseller Meetup groups in the U.S., with 1,667 members and counting. These are not Etsy sellers; there is no homemade knitting going on. Instead, these third-party sellers use data from Amazon to find best-selling products, scour whole sale stores to find cheaper versions of them, then set up online stores on Amazon to sell the items at a profit. Third-party sellers alone account for $175 billion in sales worldwide annually, according to Marketplace Pulse—double Amazon's own retail. eBay, Walmart and China-based Alibaba also offer third-party opportunities, but none touches Amazon's traffic. Few if any of these individual South Florida sellers can match the breadth and scope of GOJA. But the sheer numbers of seller here is telling; according to Amazon, Florida is home to 75,000 third-party sellers, many of them concentrated in South Florida. With few large employers, the region's residents are aces at the entrepreneurial hustle. In America's largest online retailer, they have found one of the best hustles yet. "It's micro-entrepreneurship," said Bob Hacker, director of StartUp FIU. Hacker and Gonzalez are partnering to teach classes to high school and college students about the concept. "It makes easier for someone without a lot of capital to start a business, something that makes it attractive for communities more challenged economically." Though he has a J.D. from George Washington Law School, Gonzalez could never shake an entrepreneurial itch. His father had emigrated from Bolivia to Miami to take a job as a bank executive, and Gonzalez says he inherited a similar nose for new business opportunities . The younger Gonzalez gained his first experience with e-commerce at the age of 35. It was 2009, and Amazon was still mostly known for selling books. "eBay was it," he said. "eBay and your own website." After successfully offloading a batch of electronics on the auction site, Gonzalez saw an opportunity: if he could sell computer parts, why could he not sell other items? Soon, he was buying toys, handmade funeral urns, and even prostate medicine from wholesalers and flipping them on eBay for a profit. Gonzalez also decided he wanted to build a trusted e-commerce brand. He hired developers in Bolivia to create software that would pump ads out to eBay users to increase his company's visibility. He called the company GOJA, a riff on his last name. "GOJA'S plan was always to create a fully integrated e-commerce company that could also serve as the backbone for other companies trying to sell on marketplaces like Amazon," Gonzalez said. Eventually, one item became a bestseller: camera filters. A distributor in New York was struggling to get its equipment out the door, so GOJA offered to move the units online. His success attracted the camera firm's competitor, and the company, now called GOJA cemented itself as a large, trusted online source for camera parts. It was good timing. It was around 2009, and the Great Recession had accelerated the demise of brick and mortar camera stores. And ever-more sophisticated smartphones were making online purchases simple and fast. In 2010, Amazon—by then offering a lot more than books—opened its platform to third-party sellers. Sensing Amazon's growth potential, GOJA began transitioning off of eBay. It soon had a full-fledged office on Northwest 72nd Ave—strategically located near the U.S. Postal Service's giant depot on the southwest corner of MIA International Airport. Often, Gonzalez would personally drop off last-minute shipments in his two-door Jaguar. The next development would completely alter GOJA'S makeup: In 2012, Gonzalez read a Miami Herald article about a Free Trade Zone in Doral. The zone offered anyone looking to manufacture a product in China a chance to connect directly with the manufacturer's representative. The math was obvious: Instead of paying a wholesaler, why shouldn't GOJA manufacture products itself? After researching the market, GOJA'S team decided it would create two private labels: MagicFiber, would make and sell lens-cleaning cloths, and Altura Photo, for photography equipment and accessories. Bit by bit, GOJA learned the art of the Amazon listing: policing reviews, improving products' image quality, buying search terms. It also made continuous changes to products to meet customer demands—and finesse Amazon's marketplace. Putting too much weight in a package can kill profits, he learned. Shaving an ounce or two from packaging can add up to hundreds of dollars in cost savings a year. And it created a full content studio producing high-quality photographs of its products, and YouTube videos showcasing items. Today, GOJA sells two million MagicFiber units a year. It also has its own retail shop, Digital Goja, where products can be bought directly. The company is now such an expert that it has signed multinational camera-parts firms including Canon and Sigma. "They've done an amazing job in growing their business," said Mark Amir, Sigma's CEO. "Their market reach has been really tremendous. Their overall brand strategy, on and off Amazon, has been great, and they've made us think about how we can do things better on e-commerce." The final development at Amazon proved a boon not just for GOJA, but also opened the door for Miami's reseller army. In 2015, Amazon gave third-party sellers the option to have Amazon itself fulfill shipments at its own fulfillment centers. They called it Fulfillment By Amazon (FBA). Now, instead of having to worry about delivery times themselves, GOJA and other resellers would merely have to ensure Amazon had enough goods on hand to deliver when the reseller got an order. For GOJA, this meant planning orders from its Chinese manufacturers to arrive in Doral in time to be shipped to an Amazon fulfillment center. With FBA, it no longer has to worry about last-minute trips to the post office to guarantee two-day shipping. Today, GOJA is focused on technology. It wants to sell software, and its own experts as consultants, to other companies hoping to boost their own Amazon sales. "Because now Amazon built out its own logistics, which is extremely capital intensive for anyone else, it allows us to put our efforts into the part that really matters, which is analytics—the gray-matter stuff," Gonzalez said. This month, GOJA began testing its first commercial software, which will incorporate everything GOJA has learned from a decade's worth of selling on Amazon. "Our goal is to be the largest seller on Amazon in the world," Gonzalez said. If GOJA is the futuristic, one-stop shop for South Florida's e-commerce potential, Carlos Alvarez, 40, is the Miami Amazon seller community's pied piper. Alvarez's formal education stopped after he received his GED. About 12 years ago, while working multiple jobs and training to become an air conditioning technician, he listed a classic-edition PlayStation controller on eBay to scrounge up some extra cash to spend on his then-girlfriend. He didn't make much—but he was immediately hooked on the idea that someone, somewhere, would buy just about anything he could sell. He started visiting garage sales all around Miami; soon he was making as much as a few hundred dollars a day, often more than what he was making stocking shelves at Publix. "It was like, I'm having a blast doing this other thing." From eBay, he expanded to Amazon, selling anything he could get a higher price for; the local Costco got to know him well. Soon, he was making enough to start winding down his other jobs. "People were looking at me as successful," he said. "I liked that." One day, while waiting in line at a pet shop, he overheard that live worms were worth 50 cents apiece. "I was like, 'I will go dig for worms. Where do they grow?'" He dove into the live bait industry; soon he got the idea that he could save zoos money if he could breed insects for them. In a matter of months, he had half a million Jamaican crickets in his Westchester house. (The girlfriend had left by then). "They were contained—but it was deafening," he said. When he was finally told by local officials that he could not keep them at home, he found a warehouse that let him do so. He stayed in the insect business for two and a half more years before being approached by a conglomerate that bought him out for $2.6 million. After taxes, and "blowing half" of the net profits on celebrating, Alvarez was still left with a nice chunk of change. Today, Alvarez oversees a mini Amazon empire that brings in over seven figures annually. He still sells live insects, but has also expanded into private label items including coffee drippers, beverage chillers, and cigar cutters. Alvarez got so good at Amazon sales that he decided to spread his gospel. Two and a half years ago, he and a group of fellow sellers got together and set up a Meetup group. Today, the Wizards of Amazon is the largest coaching group of its kind in the U.S., according to Meetup.com, with more than 1,660 members and counting. It meets every Saturday at a salsa dance studio Alvarez owns at 14254 S.W. Eighth St. near Tamiami, as well as every Monday at locations across South Florida. For at least two hours, Alvarez and other trusted experts hold court fielding questions from a group, usually between 30 and 40, of diverse, ever-growing group of online entrepreneurs about best practices. The group has its own Instagram account, and is even planning a cruise. "We have everyone from college grads to people in the corporate world with really comfortable jobs, making in excess of $200,000, who just want more freedom, or want to make more," Alvarez said. "There just seems to be a larger concentration of creatives and entrepreneurs (in South Florida)." The Wizards of Amazon group is helping cement South Florida's status as a major seller hub. For beginners in the group, selling on Amazon starts with an app. It's called Amazon Seller. After setting up an Amazon seller page online, the app allows would-be "wizards" to walk into any store, scan the barcode of an item, and see how much it's selling for on Amazon. The seller can then decide whether he or she can execute a price arbitrage by buying it at that particular location for less and selling it for more on Amazon. Retail arbitrage is how John DiVizio, 35, got started augmenting his income from his full-time job working at a shop that details sports cars. "Basically, it's the ancient, old business of buy low, sell high," he said. DiVizio doesn't specialize in a specific product; his offerings change over time, depending on shifting buying trends on the site. "It's a numbers game," he said. DiVizio dreams of quitting his current job to do Amazon full time to have more flexibility in his life, he said after a recent Wizards meeting. "It's still working," he said. "Even for people who do it full time, it is a job. But the advantage is, you have your own time." The next Saturday, Gabriella Becagli, 65, was on hand to learn about holiday selling tips. Becagli, a native Venezuelan, is an artist, and unlike many others at the group, sells her own products—art tools that she personally designed and had manufactured in China. She has only been selling on the site for only three months but wanted to fast-forward her learning curve, so she has hired Alvarez as a consultant. Still, she said, attending the group itself had helped her "1,000 percent" more than if she'd been left to her own devices. If billionaire founder Jeff Bezos is the first image that comes to mind when thinking about Amazon's business, the hundreds of fulfillment centers now dotting the globe may be a close second. The centers may give the impression that Amazon employees themselves are ordering goods and restocking shelves based on supply and demand. In reality, Amazon's fulfillment centers now also serve as way-stations for the goods sold by 6 million third-party sellers, like the ones in Miami, who make their livelihoods on the site. Amazon itself now accounts for fewer than half of the goods sold on its own site—though, of course, it gets a cut from every item sold. "It's no surprise that the Amazon marketplace is growing faster than the Amazon's own retail sales, because it carries less inventory risk and scales better," writes Joe Kaziukenas, founder of Marketplace Pulse, a website covering the Amazon seller industry. "It's also more profitable for Amazon." The way Amazon sees it, according to a spokesperson, the company's overarching goal is to provide customers with the best experience. If that means someone in Miami—or Iowa—can find a cheap, quality version of a given product and set up the order so that it reaches a fulfillment center in a timely manner, the customer will be satisfied. Sellers who don't meet the bar will fall by the wayside. And the marketplace has standards. Sellers aren't allowed to have their friends buy and review products to boost seller ratings—a policy strictly enforced. All the sellers the Miami Herald spoke with declined to have the names of their storefronts printed, since they can be sabotaged by rivals, usually in the form of posting reviews that violate Amazon's terms of service. But for the most part, Amazon is happy to champion its third-party army. 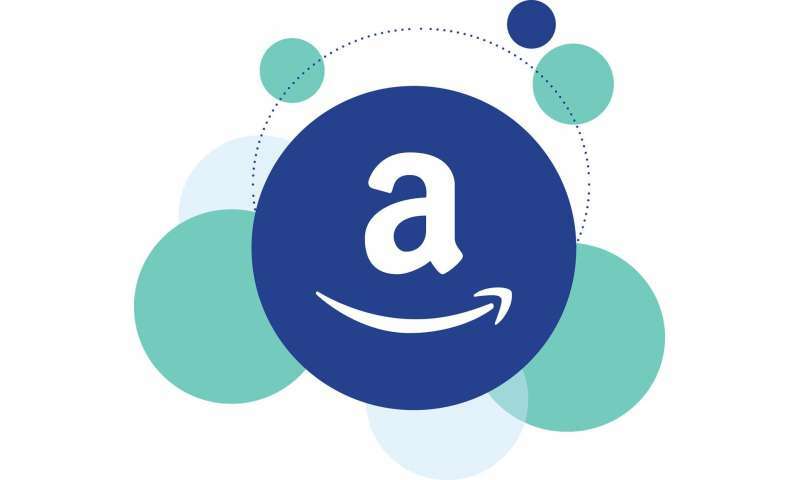 In its Small Business Impact report, Amazon said more than 20,000 small and medium-sized businesses worldwide on Amazon surpassed $1 million in sales in 2017. When you walk into the Gigi and Lucy women and kids' clothing store on 12865 Bird Road in Kendall, you are unlikely to think it is pulling in $2.5 million in revenues annually. That's because most of the business is happening in the back—and has nothing to do with kid's clothes. There, Ramon Gonzalez, 40 (no relation to GOJA founder Walter), spends hours scanning data sets to track his Amazon sales of Tom's shoes. In the past decade, Tom's has become one of the most popular brands in America. For Gonzalez, a father of two, selling Tom's and other apparel online has turned his life around. He now brings in $2.5 million annually from selling Tom's and other apparel on Amazon. He also owns Gigi and Lucy, which brings in . "I would consider myself very successful," he said. "We opened (this) physical brick and mortar because of selling on Amazon." For years, Gonzalez had worked on commission selling parts for an alcohol distillation plant company. "It was either an amazing year, or a really crappy year," he said. "I got tired of the instability." In 2015, through a friend, he heard about selling on Amazon. "I was like, 'What do you mean, I thought Amazon sold on Amazon.'" Just as Carlos Alvarez had started buying in bulk from Costco, Gonzalez began his odyssey at IKEA. Gonzalez eventually discovered the Wizards of Amazon group, and became a regular. Alvarez considers Gonzalez one of the group's greatest success stories, having started from nothing and, over the course of three years, become a seven-figure seller. "You get so much from networking," Gonzalez said. "This can be a lonely work—you can do everything in your 'PJs'; it's very easy to not talk to anybody in this line of work. But when you sit down and talk to other sellers, hear their wins and learn how they're making things work, that's the best way to grow in this business." For Hacker, the StartupFIU director, it makes perfect sense that Amazon selling would be flourishing in South Florida. "You've got the mother whose children are in high school, reading about micro-entrepreneurship, she's jumping in again; people from Venezuela who had to leave everything behind; maybe someone who retired and is looking for new things," he said. "It's low capital. It's everybody looking for opportunity and the ability to control their economic well being."